A Natural Source of Omega-3s and More! 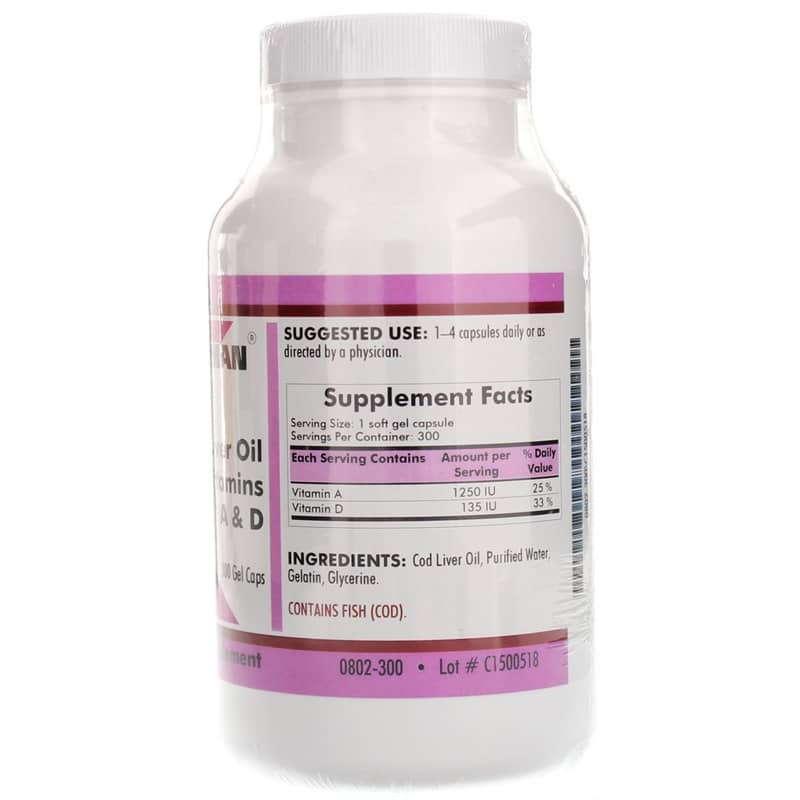 Cod liver oil is a good source of the omega-3 fatty acids EPA and DHA and other nutrients. These fatty acids support heart health, brain function, mood and more. Since cod liver oil comes from fish, be mindful of potential products that may be contaminated or contain elevated levels of pesticides, PCBs and heavy metals. Always buy a stable oil that has been thoroughly filtered and tested. 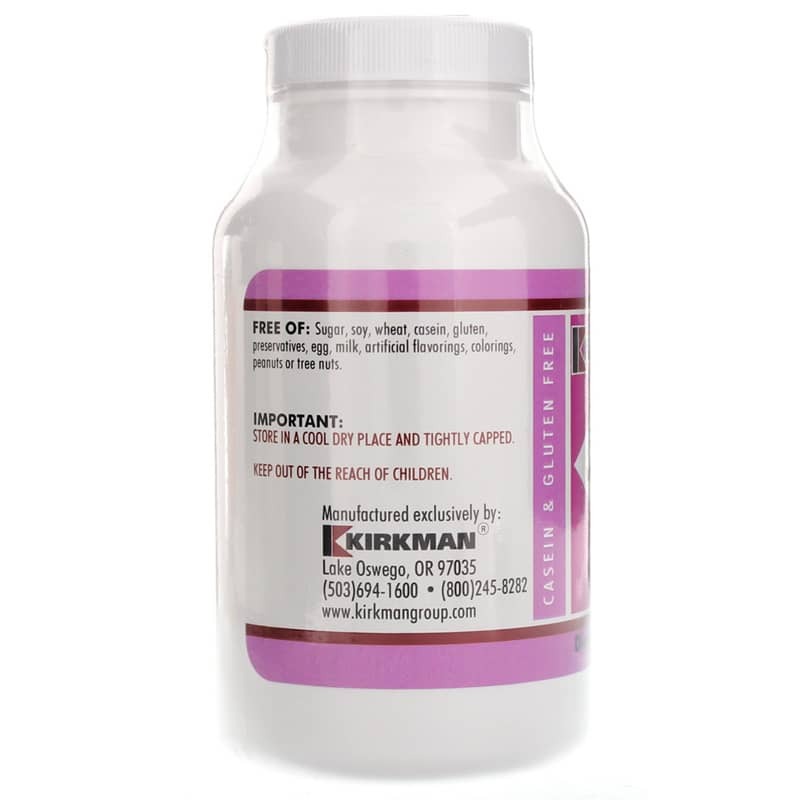 Kirkman offers a natural supplement called Cod Liver Oil with Vitamins A & D that delivers 50mg each of EPA and DHA (omega-3 fatty acids) per gel cap. This formulation does contain fish (cod). It is free of soy, sugar, wheat, casein, gluten, egg, milk, peanuts, tree nuts, preservatives, colorings and artificial flavorings. The oil has gone through a filtration and distillation process that removes heavy metals, pesticides and PCBs. Suggested use is to take one to four capsules daily or as directed by a healthcare professional. 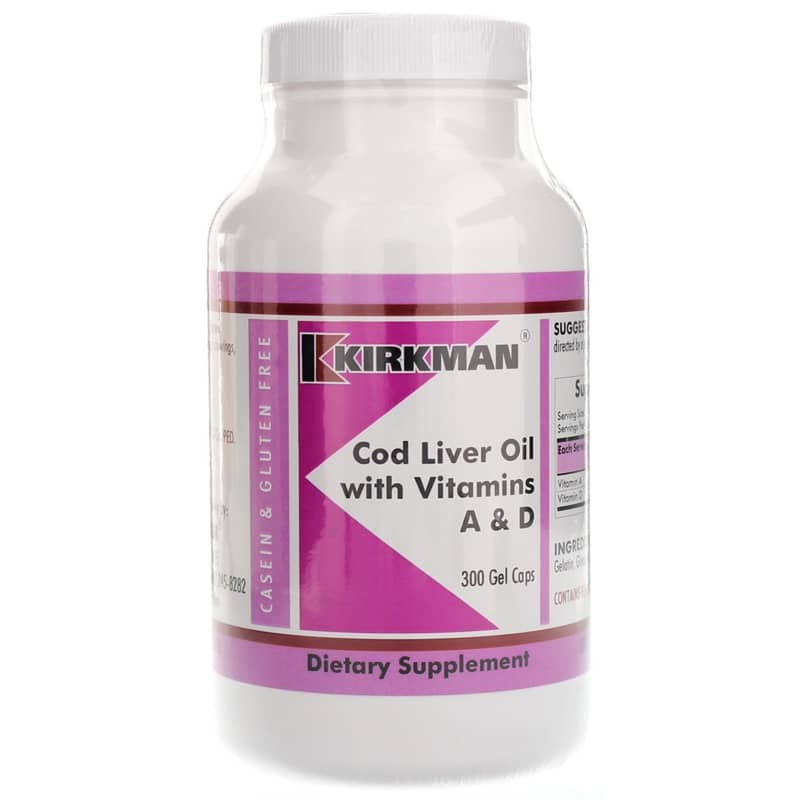 If you're looking for a filtered and distilled cod liver oil supplement, check into Kirkman's Cod Liver Oil with Vitamins A & D. Order online today! Ingredients: Cod Liver Oil, Purified Water, Gelatin and Glycerine. Contains NO: Sugar, soy, wheat, casein, gluten, preservatives, egg, milk, artificial flavorings, colorings, peanuts or tree nuts. Adults: 1-4 capsules daily or s directed by a physician. CONTAINS FISH (COD). If you are pregnant or nursing, please consult your healthcare professional before using this product. Keep out of the reach of children.